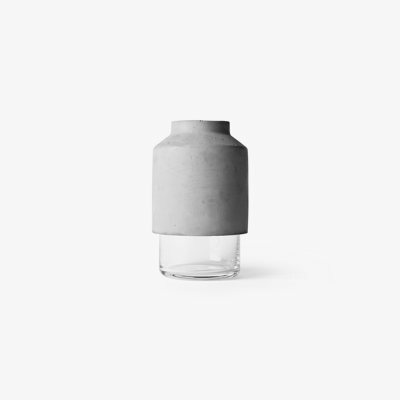 Silent Vase is a handmade mouth blown glass vase with a simple aesthetic, designed by Andreas Engesvik for Muuto. Silent is about reducing a vase to it&apos;s most simple expression. It is the shape of the vase that is in focus and adds character to the vase. The serene design gives you a timeless vase — that is 100% hand made.